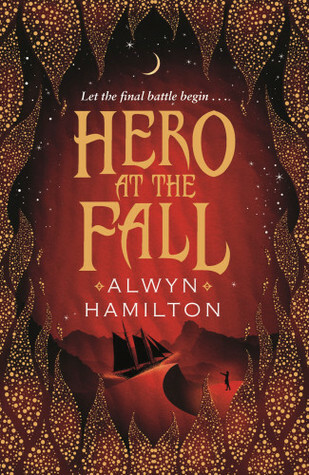 Once again I find myself not wanting to wait an extra month to read one of Alwyn's books! Thank goodness for Book Depository!! This particular moment had me laughing, oh how I've missed you Sam!! This week's topic is: Love Freebie: Top Ten Books that Had Me Blushing...Because...Yeah...Romance :D !! 10. 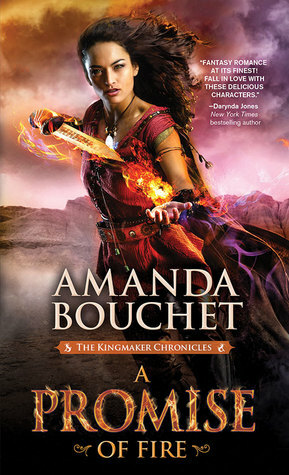 A PROMISE OF FIRE by Amanda Bouchet--this book had me giggling and blushing when Cat and Griffin continued to flirt and then had romantic interludes! 9. TIGER'S DESTINY by Colleen Houck--I can't remember exactly, but when searching through my archives I mentioned blushing with this one when Ren was being all thoughtful and romantic! 8. 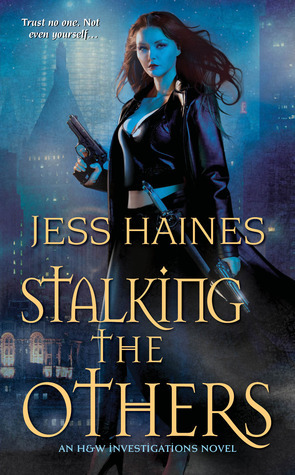 STALKING THE OTHERS by Jess Haines--another one I can quite remember in detail, but it apparently had an ending where I was blushing! LOL! 7. 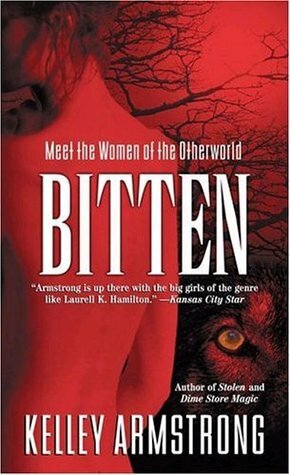 BITTEN by Kelley Armstrong--one of my first "adult" reads, I was definitely blushing by Clay's welcoming Elena home...when he tied her to a tree. Yup. 6. 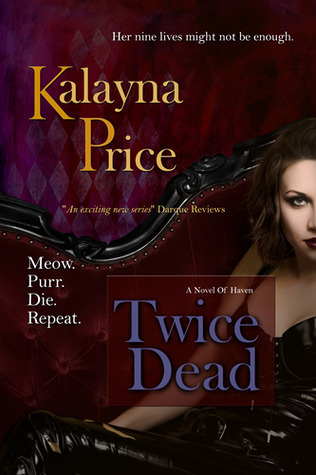 TWICE DEAD by Kalayna Price--two words: shower scene. 5. 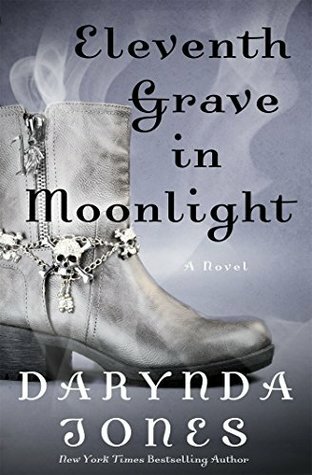 ELEVENTH GRAVE IN MOONLIGHT by Darynda Jones--another two words: Reyes Farrow. 4. 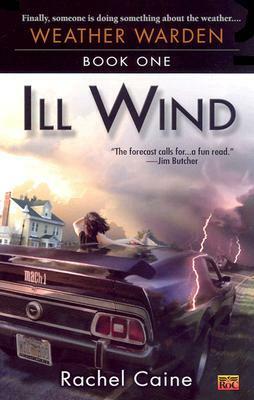 ILL WIND by Rachel Caine--I am like 90% positive that in this one there was a rather steamy (pun intended! Lol) hot tub scene with Joanne and David that definitely had me blushing! 3. 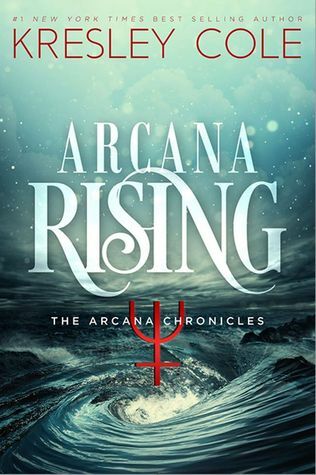 ARCANA RISING by Kresley Cole--pretty sure I was blushing in this one! I mean whenever Aric is around, it's hard not to blush! Lol!! 2. 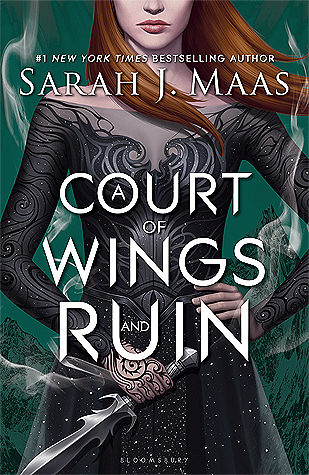 A COURT OF WINGS AND RUIN by Sarah J. Maas--there's no need to explain this one right? As I just read and reviewed it last week! You all pretty much know that I was blushing throughout! 1. ONE FOOT IN THE GRAVE by Jeaniene Frost--another two words for you: Chapter 32. Great picks! You had be with Chapter 32! I love Bones! Yes, Chapter 32. We passed this book around at my last job like candy. Cat and Bones are an awesome couple and one of my faves. The Armstrong series is also one of my faves. Clay and Elena are a couple that rocks as well. Great list! I don't know why, but that line from Hero of the Fall made me laugh a little - it might be the creative way of killing someone. Oay that sounds awful now. I promise I'm not a murderer! I haven't read and of these, but all my friend talks about is A Court of Wings and Ruin lately since she finished it not too long ago. I have yet to read ACOWAR but ACOMAF definitely had me seriously blushing! Is Arcana Rising Book 3? I'm happy Aric is still around! Nice list! I haven't read any Kelley Armstrong, but I'd like to. Here is my Top Ten Tuesday. I will be checking out a few of your books that made it to your Top Ten Tuesday post and most likely adding quite a few of them to my ever growing reading wishlist!! Happy reading!! Your teaser makes me very curious about Hero at the Fall. I can't wait to read it next month. Happy reading! I'm sad that I haven't read any of these! But I did star the ACOTAR series, now I just need to catch up! Ha ha the Bouchet books and Kalayna's Price's books sound good too! 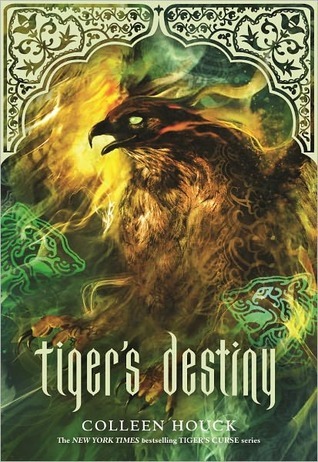 The only one I have read is tigers destiny. It was a good romance though I remember that. ughhhh chapter 32! No other words are really needed. And gosh yes to ACOWAR! Great list.